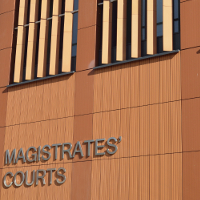 On Monday 5 March 2018, Paul McDonald pleaded guilty at Salisbury Magistrates’ Court to working without a Security Industry Authority licence. In addition his wife Siobhan McDonald, the director of Morsec Holdings Ltd, of Melksham, Wiltshire, pleaded guilty to two offences of providing false information and failing to provide information to the SIA. 1. Mr Paul McDonald was fined £300 [due to Section 3 (2) (f) PSIA 2001] and his costs were £700 and a victim surcharge of £30. 2. Mrs Siobhan McDonald was fined £600 [due to Section 19 PSIA 2001] and her costs were £700 and a victim surcharge of £60. She also pleaded guilty to Section 22, PSIA 2001, no additional penalty was awarded against her. This investigation began in February 2017, when Siobhan McDonald submitted an application to join the ACS as the named director of Morsec Holdings Ltd. Following an approval visit and a series of inquiries into the business, and several others linked to it, SIA investigators came to the conclusion that Paul McDonald was in fact the person directing the company. SIA investigation revealed that Paul McDonald was unlicensed between June and September 2017, despite clearly acting as director of a security company. Siobhan McDonald was asked to provide information to the SIA in connection with the inquiry, but failed to do so despite being given extra time to respond. This is an offence. Siobhan McDonald was prosecuted after her application for the SIA’s Approved Contractor Scheme (ACS) revealed inconsistencies around the structure of several, similarly named companies owned by Paul McDonald: Morsec Holdings Ltd, Morsec Ltd and Morsecurity Ltd. The application by Morsec Holdings Ltd for ACS status was withdrawn in September 2017. Mr Salmon went on to say that the purpose of the SIA’s Approved Contractor Scheme is to raise standards and promote good practice to create a safer environment for the public, and better opportunities for the private security industry. Companies who abuse the scheme, or make false statements in an attempt to gain accreditation, undermine those standards. Both Siobhan McDonald and Paul McDonald were invited by the SIA to attend a formal interview. Neither attended, and the SIA therefore decided to prosecute them.